ETTA | Diversity Icebreaker® – much more than breaking the ice! The training which I participated in, was carried out in a nice and an incredibly friendly atmosphere. The facilitators were able to present clearly the issues on breaking barriers between people of different types. I regard this training a highly useful and opening new horizons! The training has let me open up to other people, how to communicate with them, so that our cooperation runs positively. Generally, such classes give a lot fuel to think about! The use of the Diversity Icebreaker in teams and project work are one of it’s most frequent application areas. The differences in the way we communicate with others lie in the core of the Diversity Icebreaker. The tool helps to develop self-awareness, opens possibilities for participative leadership, and touches the different dimensions of leadership (people, tasks, change). The model is simple and provides an easy entrance to appreciation and taking advantage of diversity of culture, gender, or age. A powerful trust-booster that can serve to facilitate conflict-resolution processes. The workshop dynamics can be replicated on a very large scale (200+ participants). This makes the Diversity Icebreaker a one in its class tool to kick-off large projects and conferences in a meaningful, positive and memorable way. We believe in energizing workshops, which are fun to facilitate and fun to take part in. The Diversity Icebreaker® builds on a questionnaire measuring preferences for communication, interaction and different problem-solving styles. Participants fill in the questionnaire (it only takes 10 minutes) and through unique group processes develop a shared understanding of how to make use of their diversity. The intervention aims to create a non-judgmental atmosphere through self-revealing and humoristic interpersonal interactions. The concept is easy to use for consultants and facilitators, easy to understand for participants and scientifically validated. A typical Diversity Icebreaker workshop lasts between 1 and 1,5 hours and is conducted for groups of 9 to 200 participants. The formula opens possibilities to lead the processes after the workshop in many, different directions. 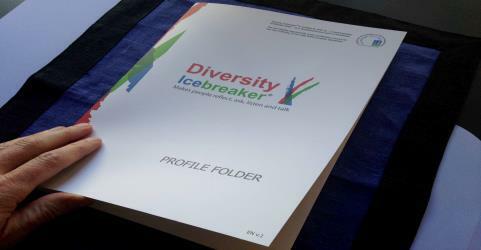 The Profile Folder is an A4 brochure that contains short exercises for individual work as well as concise information about the Diversity Icebreaker colors. Participants can read here about the different communication and work preferences and get practical tips on how to improve interaction with others. The folder is available in English, German, French, Danish, Swedish, Norwegian and Polish. The questionnaire is the starting point for the Diversity Icebreaker workshop. 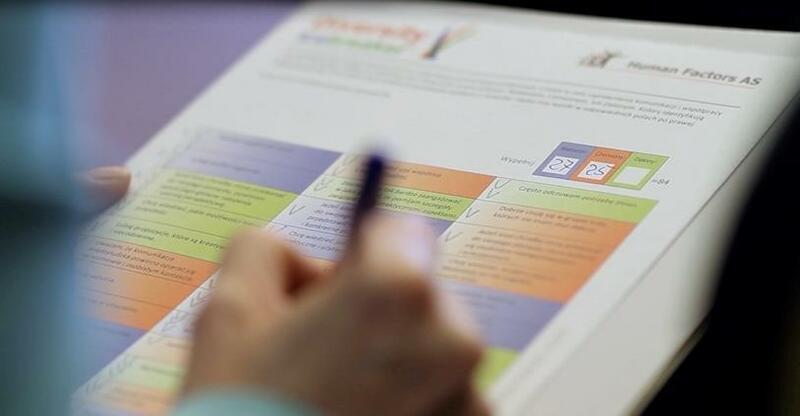 It takes only 10 minutes to complete and the unique design allows instant scoring, making the questionnaire excellent for use in a dynamic workshop setting. Available in 19 languages. The badges, fun and educative, are typically used in group work after the DI workshop. Why choose Diversity Icebreaker® instead of other HR test tools? NOTE: In the UK and the USA, the Diversity Icebreaker is branded as Trialogue.